Today I'm sharing a scrapbook page created with PSA Essentials stamps (and a whole lotta other goodies!) 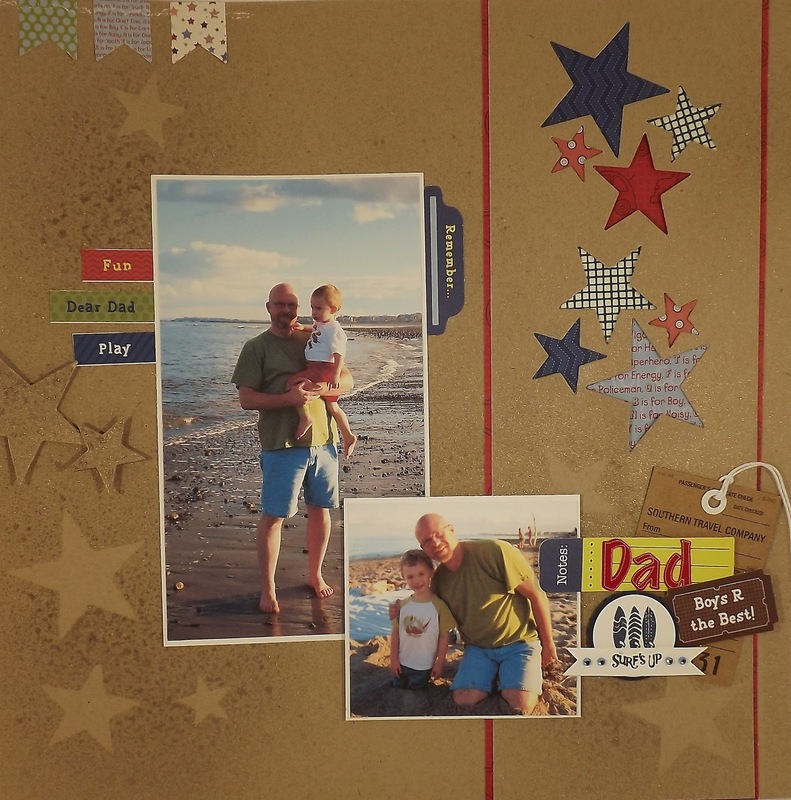 I created this page for my husband for Father's Day and will frame it in a black 12x12 frame for display on his office wall. These photos of our two sweet boys are from a few years ago but I love the sky in the photo, the water in the background, the unsure look on our youngest son's face (he was terrified of the waves), and the joy on the face of our oldest. He adores the water! We live pretty close to the beach so we routinely head down around dinner time, when it's cooler and no longer crowded. It's a great time for us and the kids! Here's a close up shot of the PSA stamps...Surf's Up! It's perfect for beach photos and I adore the little surfboard image. I paired their stamps with a few rhinestones and stickers/die cuts from Bo Bunny. The kraft tag is from Maya Road. 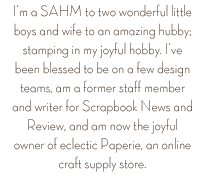 And check out that great glimmer on the bottom of the page...I created that by first cutting out the star shapes, from the Sweet 'n Sassy Star Die Cut Set, from a piece of kraft cardstock. I then used the cut stars as a mask and spritzed gold Perfect Pearls all over the page. Then I used the stars, now glimmering with gold, in various places on the page. With the negative space from the stars? I filled those with a variety of papers from a Bo Bunny paper pack. Love this technique! It's one that I saw in a recent CARDS magazine. Fun stuff! 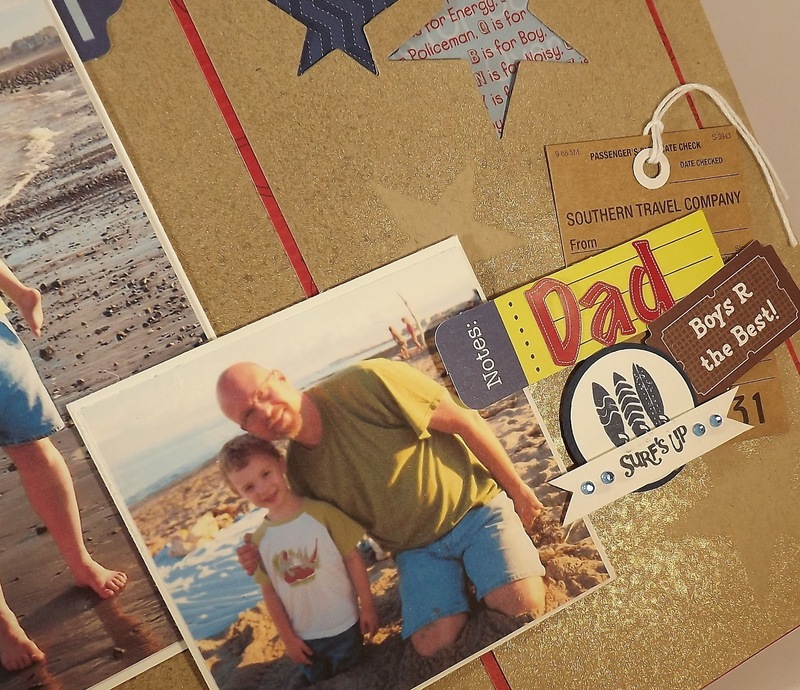 The other elements of the page simply included a few paper banners and stickers. Feel free to click on any of the photos to increase the photo size. And be sure to check out all that PSA Essentials has to offer! Hey guess what? We're half way through the week already...can you believe it? And true to form, my great schedule from Monday has already fallen by the wayside! LOL! No worries, at least I had time this week to play along with this week's Splitcoast sketch. PS - I confess that I added one tiny element to the sketch...that little bit of sentiment off to the left. Once I had my main image on the card I realized that 1) I needed something on the left side of the card to balance out the image and 2) my sentiment was too large to fit with the moon...so I improvished! 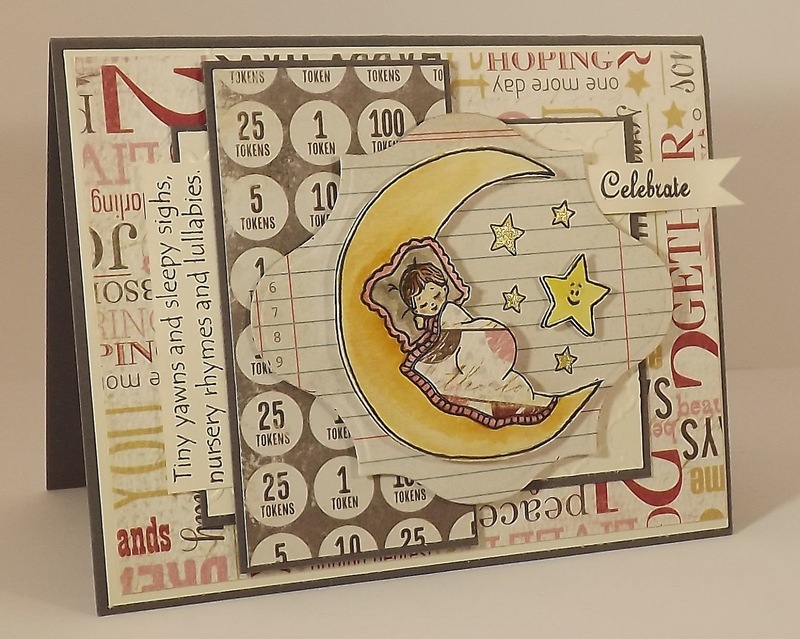 This card features a darling baby-themed image is the Sweet Dreams digi from Sweet 'n Sassy. I stamped the image on watercolor paper and then used my Distress Markers to color the moon and pillow. The blanket was paper pieced from this fab new paper from My Minds Eye. 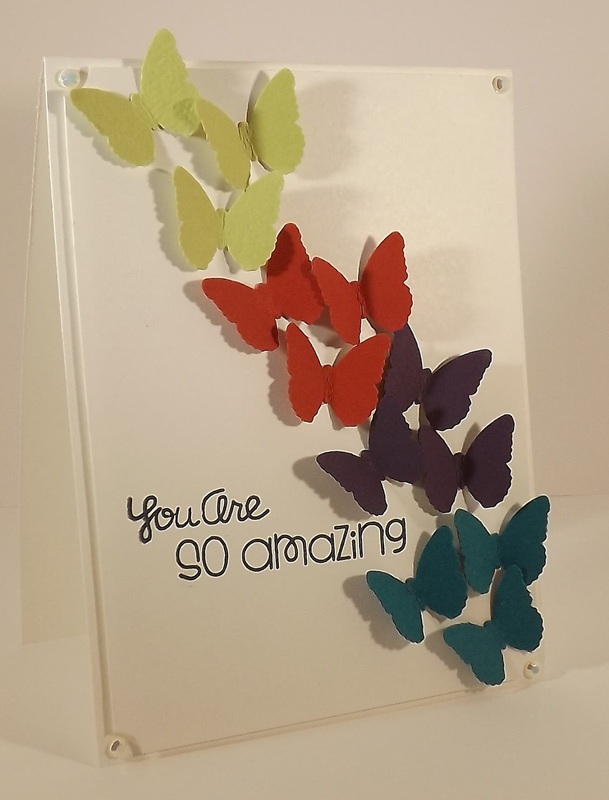 And then all those fab layers were assembled to complete the card! Enjoy and be sure to check out the sketch today and play along! Today's card came about after looking through a book that I purchased for my boys yesterday...a mini Smash book. (Who has jumped on the Smash book bandwagon??) I thought the Smash books would be a great spot for them to jot down some of their summer memories. Both of them have already filled out a few pages and added some stickers. One of the Smash book pages was covered with a beautiful rainbow of colors that looked as if someone had watercolored right on the page. When I saw the page I immediately imagined this card! To create the card I used Distress Stains to color on a piece of sticky backed canvas. Once the stains were dry (you can speed up this process with a heat gun), I stamped my images directly onto the canvas. I started with the Friendship Script stamp, which I stamped in Pumice Stone Distress Ink and then I added a flower image, also stamped in Pumice Stone and Black Soot, from the Nature Silhouettes stamp set. Next, I frayed the edges of the canvas by pulling out a few of the strings from each side of the sqaure. My card was assembled and then I added this great sentiment from the new Make a Wish stamp set. Super fun card to create and a super fun way to start the week! How about you? Have you tried out any of our Silhouette stamp sets yet? They're great paired with colorful backgrounds. 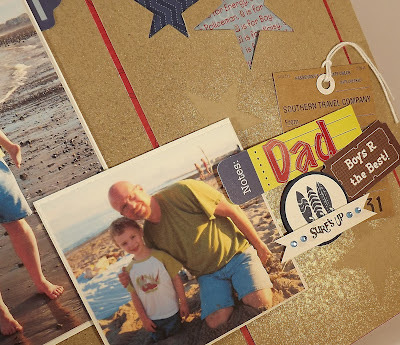 Here are links to some of my favorites that are perfect for all of your summer crafty projects! Hi there! 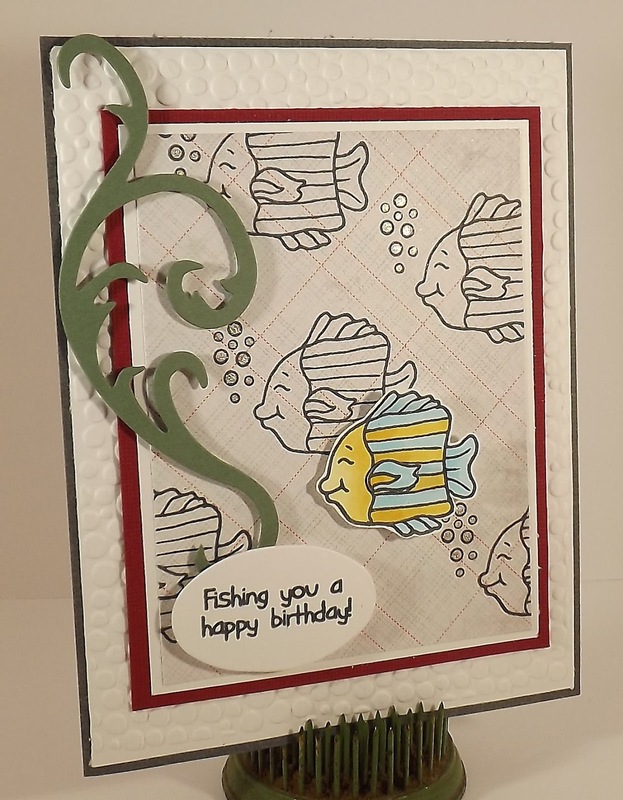 Today's card is one that I created a week or two ago for a Splitcoast CAS challenge - to use white on white. 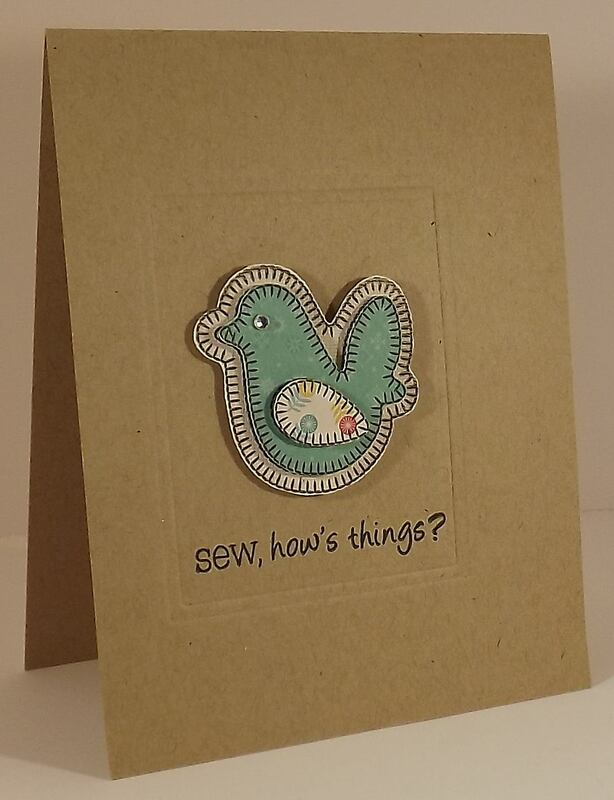 I was happy with the end result of this card but felt like it was maybe too much for a CAS card so I ended up going with this one but this sweet stamp from The Cat's Pajamas is too cute not to share! 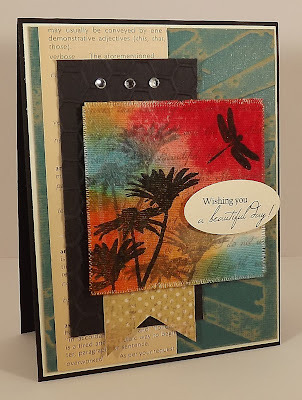 I started by die cutting two tags, using my Tim Holtz tag die, and then I embossed them with this fun swirl embossing folder (kinda like waves, right??) The stamp set, Aye Aye Captian, contains the bunny, great sentiment, and the tiny lifesavers...aren't they so cute? And they perfectly fit the hole on the tag! 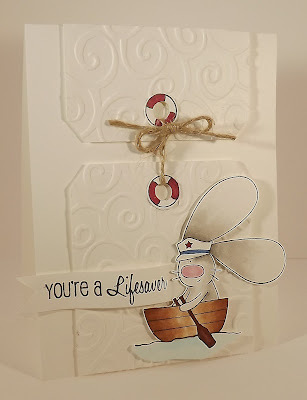 Once the tags were attached, and joined with a piece of twine, (BTW...I found this great tag idea in a recent CARDS issue), I stamped Captian Bunny on a piece of cardstock, colored him with Copics, and cut him out (attached with foam tape). Then the sentiment was added by using a paper banner! 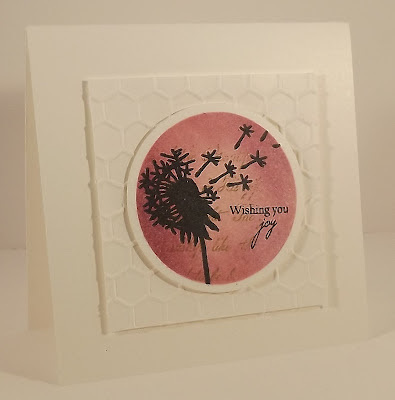 My card was created using designer paper from Authentique (those fun "cards" are actually part of the paper that I simply cut out and attached) and my new all time favorite die, the Stardie set from Sweet 'n Sassy. And then...I went plum crazy with my buttons! I didn't use any thread for the buttons but just attached them all with glue dots. (I did lay them all out on my card before attaching) I then added a sentiment from the new Makea Wish set. Enjoy today's card/challenge and be sure to create a button card to share with our team!! Hi all! It's rare that I post on a Sunday but I suddenly remembered that Paper Smooches has started a sketch challenge and the deadline is tonight! 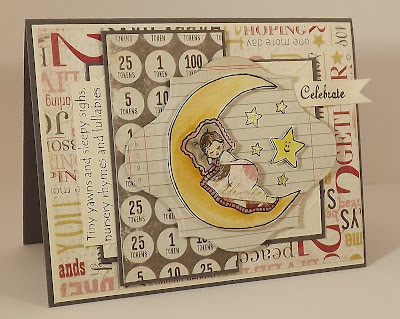 I love Kim's designs but I don't often get much time to just play and tonight, combined with the challenge deadline, was a great opportunity for me to ink up some of my Paper Smooches stamps! 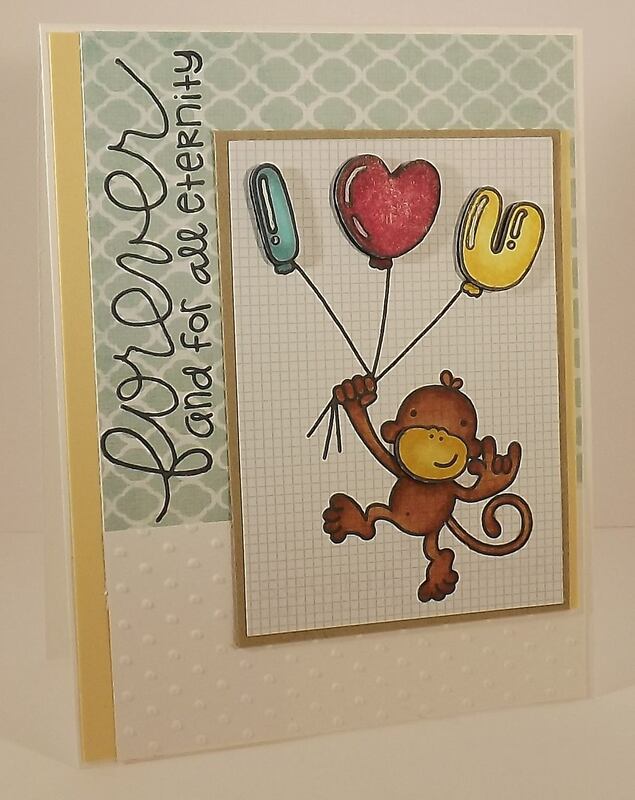 This sweet stamp, Love Monkey, was actually given to us during a class that Kim taught at Wholly Scrap! How fun is that...not only a great Paper Smooches class but the attendees all received a free stamp! Mr. Love Monkey was stamped on small grid paper, from My Minds Eye, and colored with Copics. I stamped the balloons and the monkey's nose on a second sheet of paper, colored each piece with Copics, cut them out, and attached them with foam tape. 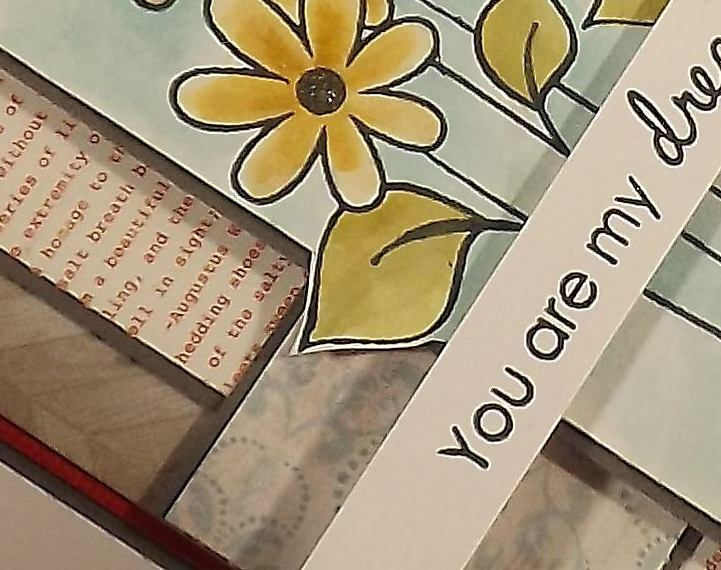 The blue background paper is also from My Minds Eye and that beautiful sentiment is from the Pretty Phrases set. Enjoy today's card and head on over to the PS Sketch Challenge. The next challenge will be posted on Monday! Hi there! Hey, guess what? I'm glad there is you! I'm glad that I have a few of you out there who are still reading my blog...after...maybe six years. Goodness, I can't believe it's been that long! And I'm not even that funny or interesting! LOL! 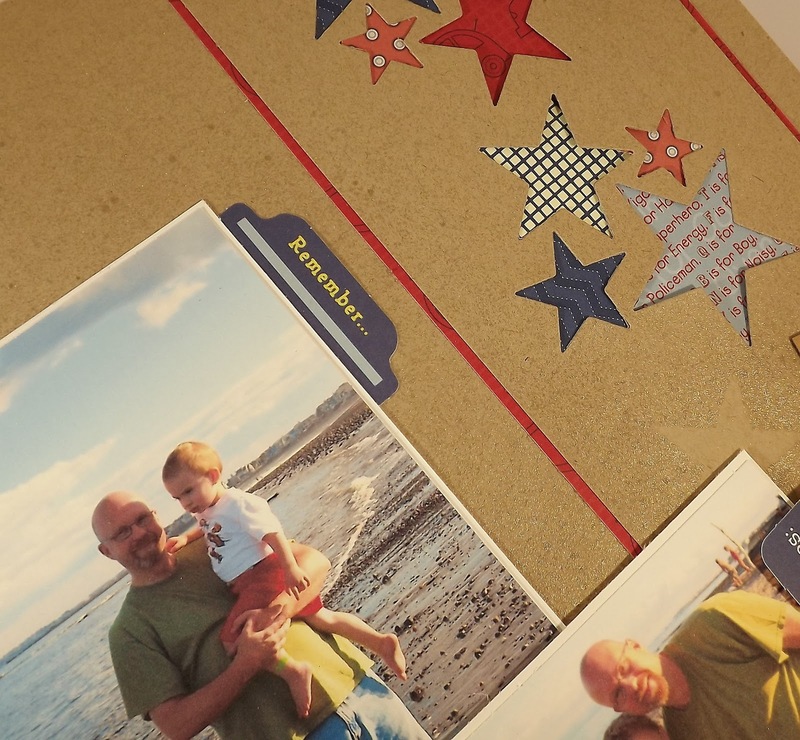 And I'm glad that I have an opportunity to share what I create with a great group of crafting ladies (and a few men...hello Tim, you fabulous crafter you) and an opportunity to help promote amazing companies! Humm...I'm feeling pretty darn grateful tonight. So would you like to hear me stop gushing and start talking about today's card? This is a card that I created for a recent Wholly Scrap! class where we created with the new Distress Markers (have to share that I'm loving them). I kept the layout of this card simple, only using a few pieces of designer paper, so we could focus on coloring this beautiful floral image from Hero Arts. For this technique, we used the markers to scribble on a craft sheet and then used a watercolor brush to pick up the color and fill in the image. I started with a lighter color and added darker (sometimes using a heat gun to dry the paper in between). I did use watercolor paper with this technique as it holds up better then regular cardstock. And then there's the darling sentiment, from the Together Silhouettes set from Sweet 'n Sassy. Happy Monday! Wow...I can't believe it's already Monday again! Is it just me or do the weeks fly by at an accelerated pace once one is...cough...cough...over 30? :-) This girl could really use a four day weekend each week. Yeah...that's it...work for three days, have four days off! New work week! LOL! Hip, Hip, Hooray...It's Sweet 'n Sassy Release Day! Welcome to the Sweet 'n Sassy Release Day! It's the most exciting day of the month, where we provide you with this month's full reveal and stamps and dies and we have a big 'ol party over on our SCS Forum (starting at 8:00 pm EST) tonight where we'll post a bunch of challenges and prizes will be offered! And speaking of prizes, one person will win the ENTIRE release!! Our winner will be announced at the end of our release party so be sure to comment on the DT blogs as you work your way through the hop...you never know, you might win...BIG! On to the cards! 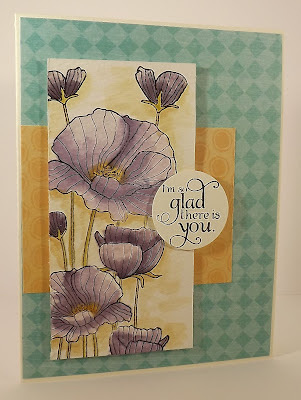 My first card, shown above, showcases a brand new floral image, Happy Place, and I love it! This is a wonderful image for coloring and I used my Distress Markers to color this beauty. My paper is from Authentique and I love the sentiment. My hubby is definitely my dream come true...but he might not be all in to that big bouquet of flowers! LOL! Next is another all time fav...a silhouette images. I think we all know how I feel about silhouette images...I love them as much as floral images! This sweet image is from the new set, Make a Wish, and it contains one dandelion image and a boatload of sentiments that are perfect for mixing and matching. For example, I used the "wishing you" image with the "joy" but you can also choose from love, well, or peace. 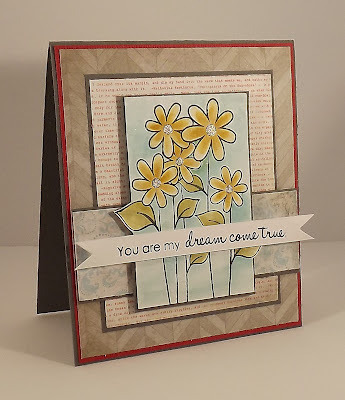 I paired this image with the Friendship Script, lightly seen in the background, which was colored with Distress Inks. 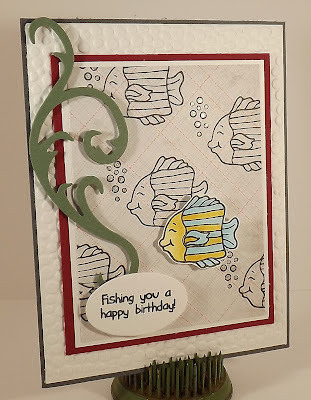 I also used my brand spanking new chicken wire embossing folder for a little texture. Ready to check out what the other DT members have come up with? I know it's going to be beautiful and inspiring! And don't forget to join the party tonight!! Tomorrow is Sweet 'n Sassy's release day! 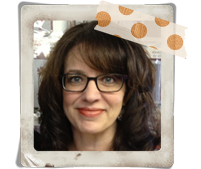 That means new stamp sets, new dies, new creations, and a blog hop!! And a big 'ol release party on our SCS Forum where we'll offer challenges and prizes! Don't miss out on all the fun!! Decided to play along with this week's CAS challenge on Splitcoast! That's one of the things I love about the CAS challenges...it doesn't take long to create a card! Well...as long as there's no stress surrounding trying out for any teams! LOL! Today's card features this great monogram stamp from PSA Essentials. When I joined the team Libby sent me a K and S monogram stamps...fun, right?! And this weeks CAS challenge was to utilize letter so...perfect combo! 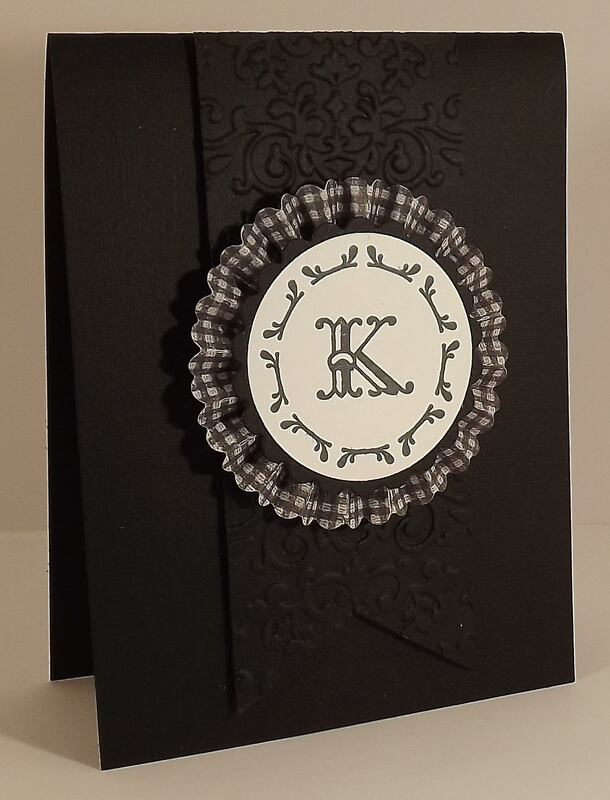 I simply stamped the K, and border image, on white cardstock. Punched it out, added a scalloped circle, and a run rosette. Then just added an embossed paper banner to the card base. Pretty clean, simple, and quick!! I almost wanted to title today's post, "Always a Bridesmaid..." LOL! I wasn't selected for the CAS DT this time around (snagged a guest spot) and I was a little disappointed as I've tried out four times...sigh four times. Funny, I don't try out for many teams. One, I'm really happy being on the teams I'm currently on and two, there isn't a long list of teams I'm super excited about (well some I'm excited about but know I don't stand a chance or they're teams that don't post public calls...they hand select designers) but the CAS team...humm...that's one I really want and it's tough to make it to the very end, yet again, and not be selected. However, I am really excited for two designers who did make the team as they've tried out along side me every three months, they're both very talented designers, and I'm giddy for them. So for now I'm happy with my guest spot and maybe I'll try out again...we'll see...a girl can only handle so much rejection! LOL! Today's card was my final submission, which funny enough was selected as one of last week's CAS favorites. This sweet stamp is from The Cat's Pajamas. 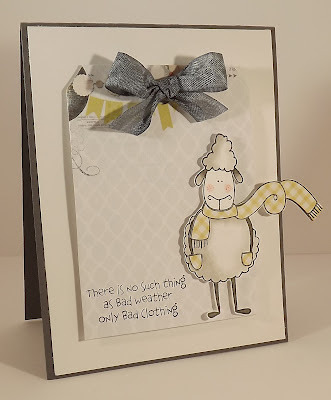 The challenge for this card was to use paper piecing on a portion of the image and I used designer paper, from My Minds Eye, on the sheep's scarf and pockets. I adore the sentiment and loved the final outcome of this card. 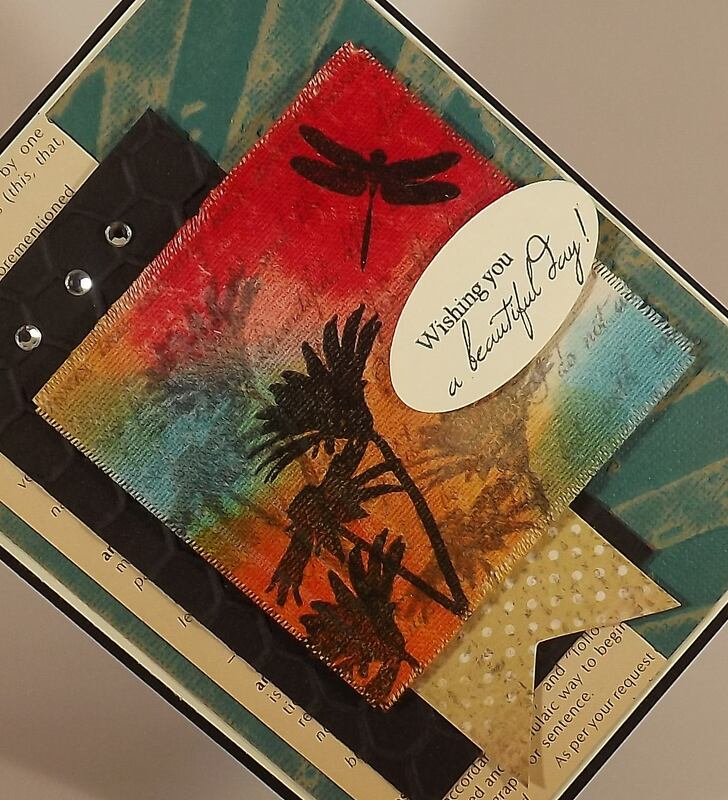 The tag was created using a Tim Holtz die; the paper is also from My Minds Eye. I dyed the ribbon with my Copic markers so that it would match the background color of the cardstock. Tonight's the night...The night we find out who made the CAS DT on SCS. I can not wait!! But until we find out - and seriously, everyone who tried out is so talented - I'll share a card I created using the last challenge we received; paper piecing. 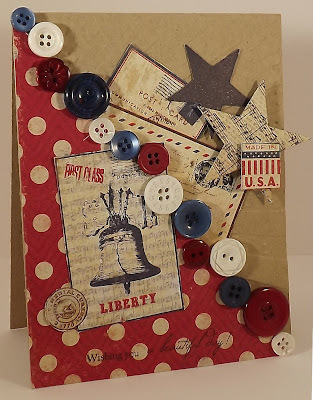 This sweet image is from Waltzingmouse Stamps and this set, Sewing Box, Hugs, is one of my favorites. I first stamped the bird on canvas (more obvious in person) then on DT from Cosmo Cricket. Each piece of the bird was attached with foam tape so there's some nice dimension going on! :-) I used a rectangle Nestibilities die to emboss the shape on the kraft cardstock. The birdie was then attached and my sentiment added! Super CAS! Enjoy!